All independent schools are inspected by both the Independent Schools Inspectorate (ISI) and Ofsted. However, they apply different frameworks and have different criteria for judging school quality that are suited to the different types of schools they inspect. 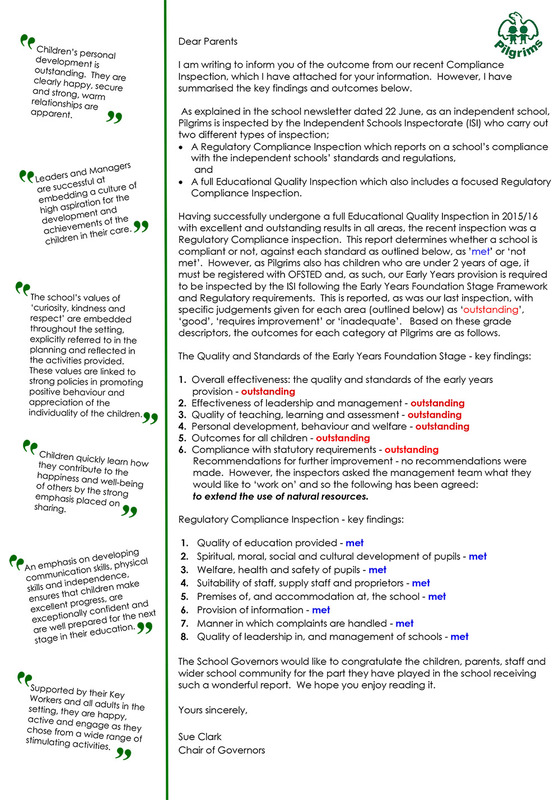 Here is a letter from our Chair of Governors about our recent Inspection Report.